City Centre Auto Service owners Kevin and Teresa Wallace outside their shop at 963 Victoria St., Kamloops B.C. 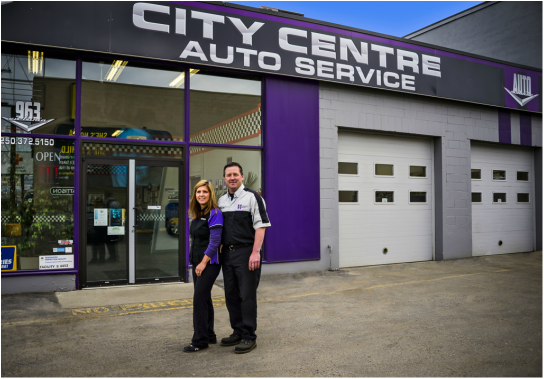 City Centre Auto Service is an independant automotive repair and maintenance shop located in downtown Kamloops, B.C. It was founded by husband and wife Kevin and Teresa Wallace. With more than 28 years in business, they provide honest and personalized service, educate clients, repair and maintain a wide variety of makes and models.